No matter what type of shoes you’re wearing, it doesn’t matter as long as you know how to pull them off with your clothes. Footwears are the bedrock of every man’s fashion, supporting all the elements that lie above them. In other words, a detailed men’s fashion outlay wouldn’t be completed without a pair of shoes to crown the entirety of a man. Traveling back to its antiquity and the beginning of industrial era gives us the likeliness to observe how shoes have developed over time – from the original concept of giving care and comfort to the feet to a reinvented picture of being a fashion statement until these days. Although types of men’s footwear are quite limited compared to women’s, the timeless effect of each type makes it unforgettable. To all the boys out there, this will be your guide on how to style up in different types of shoes. THE LEATHER AND SUEDE – Suede is a Fench term that comes from the phrase ‘gants de suede’ which refers to the gloves from Sweden. Mainly because these were the gloves that are made of fine materials which you rarely notice are actually the back of a leather fabric. It is considered as the finished product of a leather since it’s created by sweeping away the tough exterior skin leaving only the soft and less durable part. As men, you’ve always wanted the stylish effect of combining the casual and formal schemes of clothes and shoes. If I were to style in a leather and suede shoes, I would match it up with dark-crayoned denim jeans and suit. 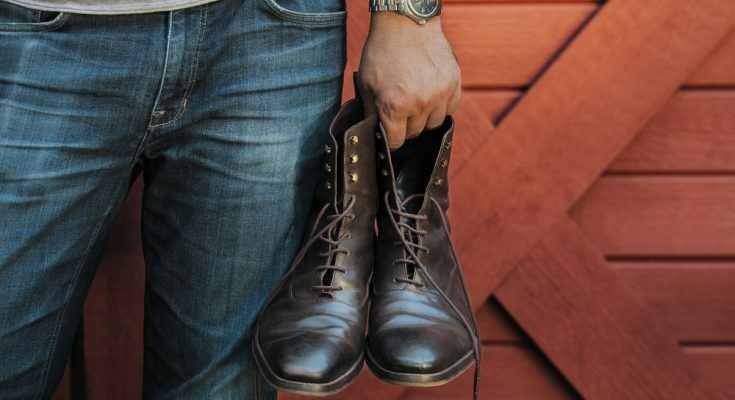 This gives men a more reputable character that he can wear for work or on a date. THE LOAFERS – You wouldn’t believe the fact that loafers are originated from a royal highness history. It was initially designed as a household footwear for King George VI of United Kingdom. Later on, it became versatile as designs and colors started to vary and so people began to use it as a casual footwear at home and a formal slip-on shoe for work. The versatility of loafers is what makes it the all-time favorite flats of many. It gives an effortlessly sophisticated style to either casual khaki shorts, denim jeans, or formal pantsuits. The loafers shoes have their wide variety of designs (tasseled, monk-strapped, slipper, espadrille, boat, horse bit, and a lot more) colors, and fabrication materials that you can choose from when styling up. THE SNEAKERS – When we say sneakers, this refers to a wide variety of names like athletic shoes, trainers, runners, or kicks that are commonly used for sports as the other names suggest. Although it was initially worn for vacation attires due to its comfort and durability. Sneakers are the easiest and the most ideal pair if you want to portray a streetwear style. 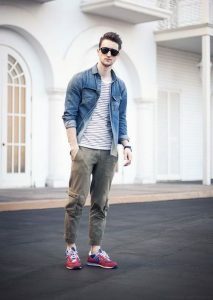 Well, not to mention, sneakers can effortlessly create a casual look to the wearer. But because of the nonstop experiments of fashion gurus from around the world, kicks are now becoming a stylish team up with formal attire for men. Just recently, Asian basketball player James Yap has caught the attention of the netizens when he paired up a suit with his sports shoes on his sister’s wedding. Not bad, I guess. But maybe not for a wedding day, guys. THE LEATHER BOOTS – I have to add the boots on the list although they’re more of a footwear than a shoe. Well, because leather boots have been around for more than five centuries now but still kicking and crowning in its finest style up until today. More than its many purposes such as to protect the feet from the high levels of snow, mud, or flood, most boots are patronized for its classic and stylish statement. 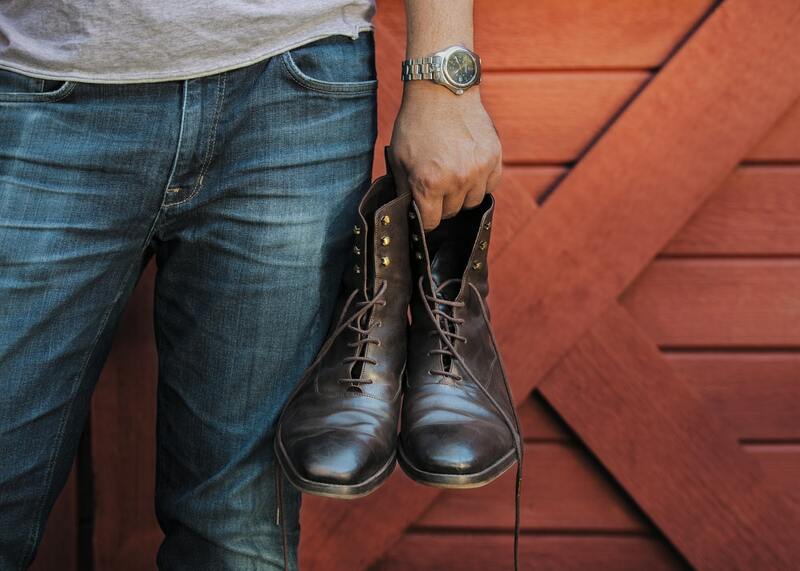 There’s something about these boots that can always represent a strong and manly character. Maybe because people generally picture out a cowboy look out of it. Boots can be styled at any level – from the ankles, mid-legs, knees, thighs, and even up to waists (for women). This is another versatile footwear that is best paired by either casual, rugged, rockstar, or formal wear. Previous Article Cleaning companies – How to create them?